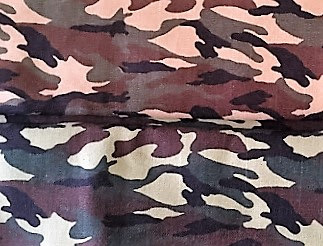 6 metres of army man soft canvas fabric to make into pairs of boys' shorts. Fabrics were purchased from the sale of handmade dresses sewn by Monika Osvald. Thank you Monica! Much appreciated.